Benjamins are pleased to welcome this three bedroom semi -detached chalet style property to the market. 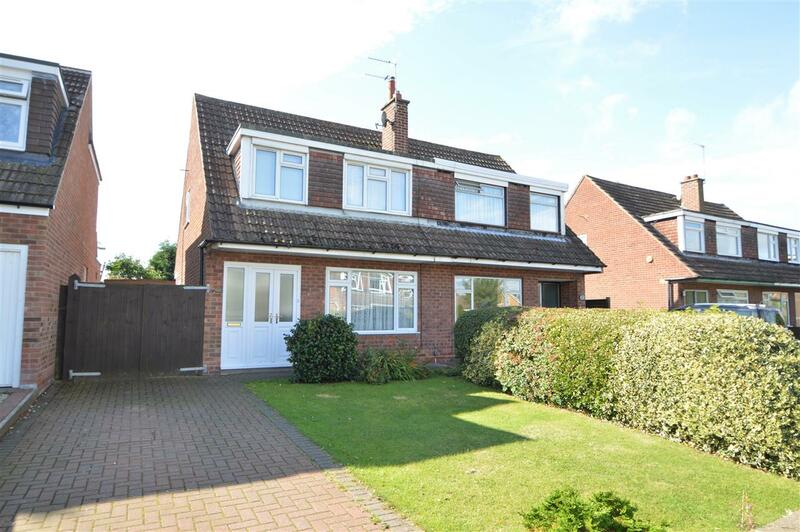 It has undergone a full renovation throughout, this property is situated in a well established and popular residential village of Keyworth. With convenient location within walking distance to the local amenities including, shops, schools, sports facilities and public transport services. Benefiting from UPVC double glazing the property comprises; Entrance hall, living room, kitchen and dinning room. 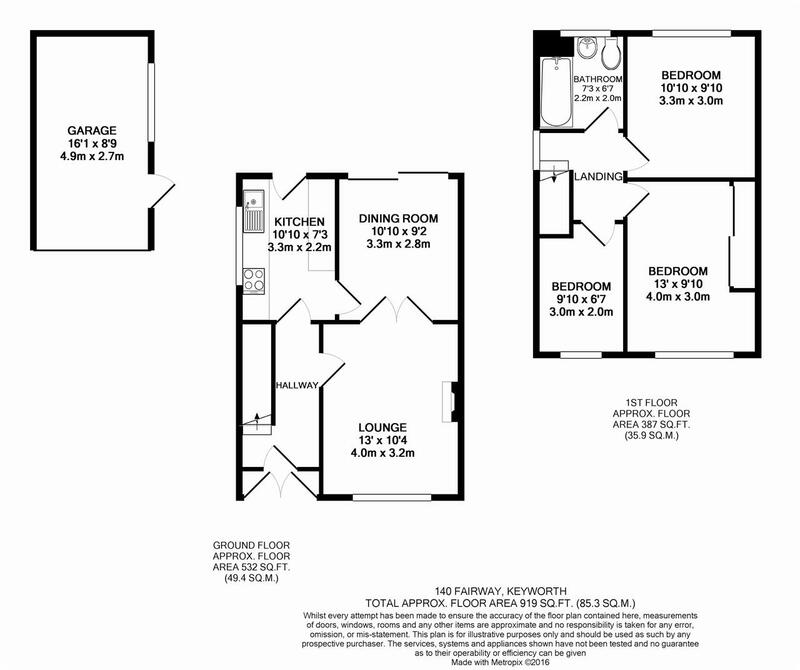 To the first floor, Two double bedroom, one single bedroom and a family bathroom. Private garden to the rear with garage and paved driveway at the front and side of the property. With radiator and stairs leading to first floor and under stairs cupboard. Will base and wall mounted kitchen units, stainless steel single drainer, tiled splash back , plumbing and space for washing machine, integrated stainless steel double oven and gas hob, stainless steel extractor fan , half glazed Upvc back door leading through to garden. Three piece bathroom suit includes bath tub with shower over, pedestal wash hand basin, low level flush toilet, radiator and tiling to remainder of room. With airing cupboard, radiator, lighting and Upvc double glazed window. Gates to drive way leading to detached sectional Garage with up and over door. To the front the garden is lawned and with shrubs and trees. The larger South Facing rear garden has a paved patio, green house, lawn, flowerbeds, fruit trees and shrubs, and backs onto allotments.